Fort Lauderdale scuba diving is the most fun you can have with your fins on. 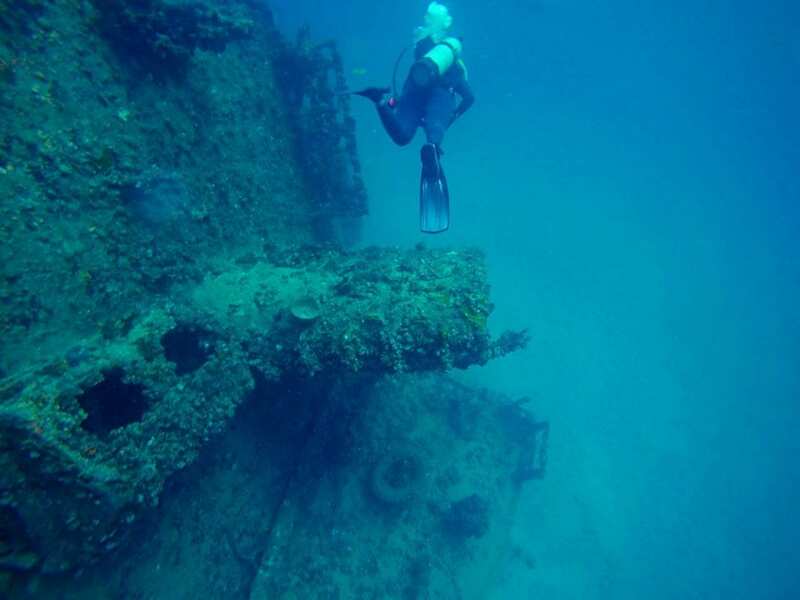 Broward County boasts 23 miles of natural coral reef and more than a hundred shipwrecks. 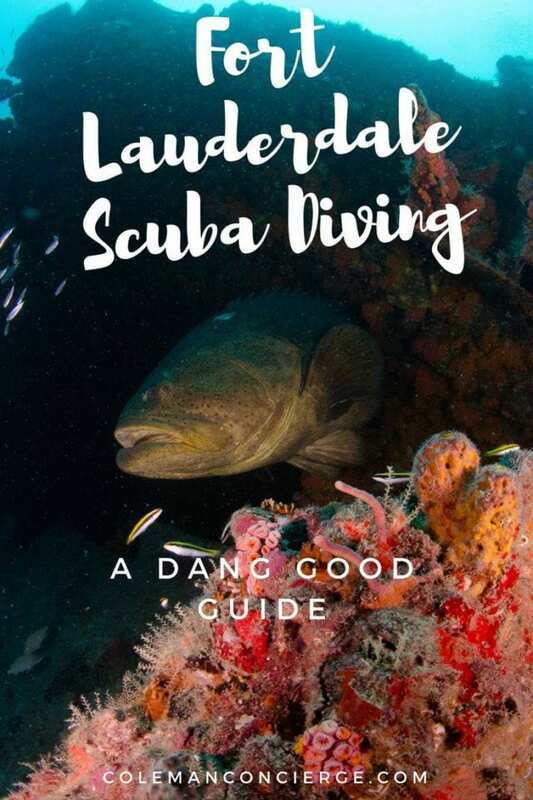 Our dang good guide to Fort Lauderdale Scuba Diving describes dive sites from Boca Raton (Southern Palm Beach County) to Dania Beach (Northern Dade County) and all of Fort Lauderdale / Broward County in between. Take some time to click around our interactive map, loaded with site descriptions, links, photos, and even a few videos. Fort Lauderdale is a city in Broward County near the tip of South Florida. The warm Gulf Stream keeps the water comfortable, even in the winter. Summer temps get up to a balmy 84-87 degrees, while winter water temperatures range from 72-75 degrees. 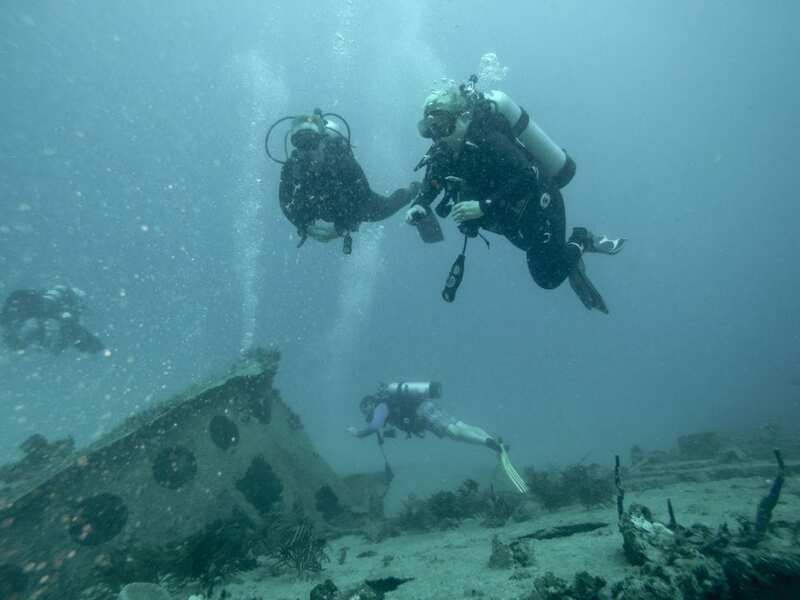 Fort Lauderdale is known as the Shipwreck Capital of America for a good reason. There are a lot of wrecks out there and more being added every year. 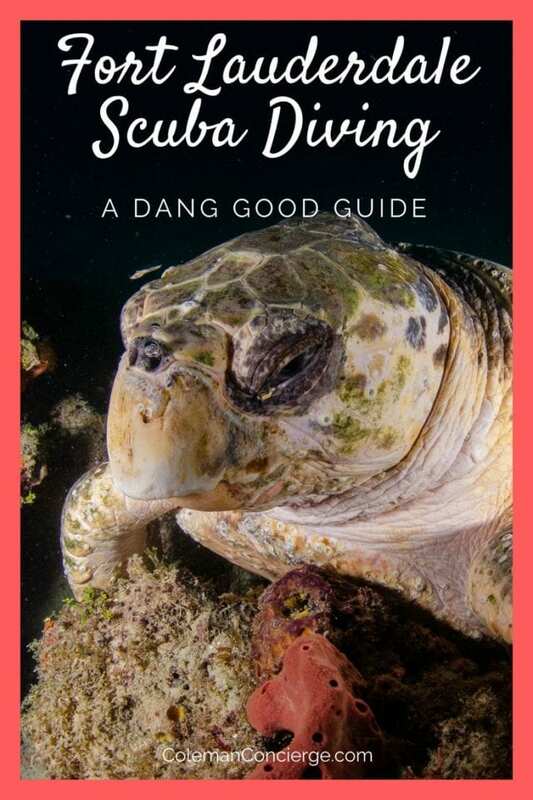 Our guide covers most of the ones that are visited by area dive shops, generally looking for ships over 100′ long and within recreational limits. 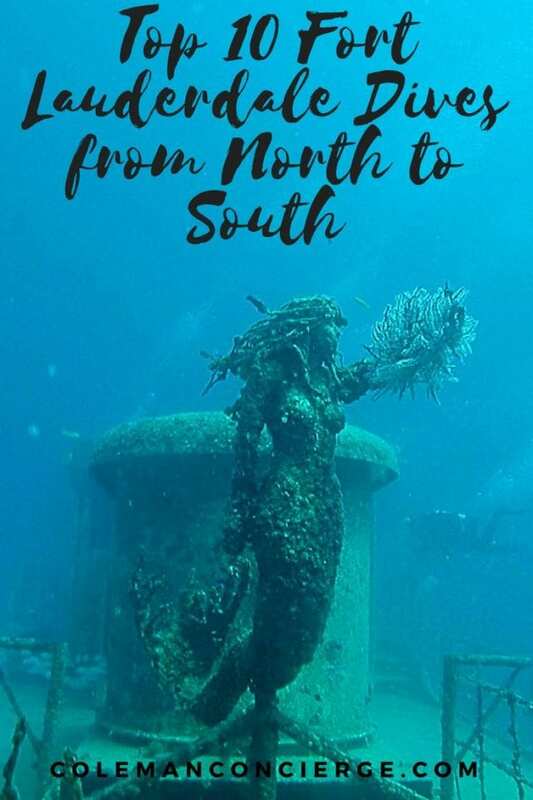 There are wrecks with interesting histories, beautiful coral, easy penetration, abundant sea life, and even installation art. 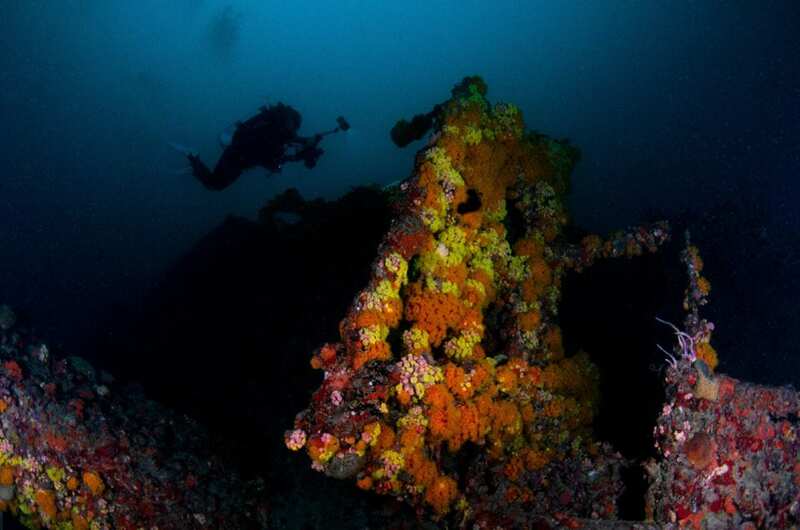 At depths, some serious tech dives reward skilled divers with unbelievable sites. No matter what your training level or interest is, Fort Lauderdale has a wreck for you. The South East Florida Reef extends all the way from Miami to Palm Beach. It consists of three distinct tracts (Inner, Middle, Outer) that run parallel to the shore. These reefs are remnants of the historic shoreline when the oceans were lower. The inner reef starts in 15′ water, often close enough for shore diving and snorkeling. The middle reef is in 40′ of water and usually reached by boat. The outer reef is the most continuously intact reef tract, gets the most sea life, and is subject to the Gulf Stream current. The Gulf Stream current, which generally runs south to north and allows for beautiful drift dives. The boat captain will drop you towards the middle of the reef at the 40-50 fsw mark, and you swim to either edge. The most life is on the main ledge on the west side of the reef, but sometimes it useful to explore other areas like the false ledge or the pockets in the deeper spur and grooves on the east side. Hydro Atlantic (179′ depth) / Lawrance (210′ depth): The Hydro Atlantic fairly unique in the dive scene because it’s a 300′ natural wreck. A giant crane sits midship with rigging and cables everywhere. 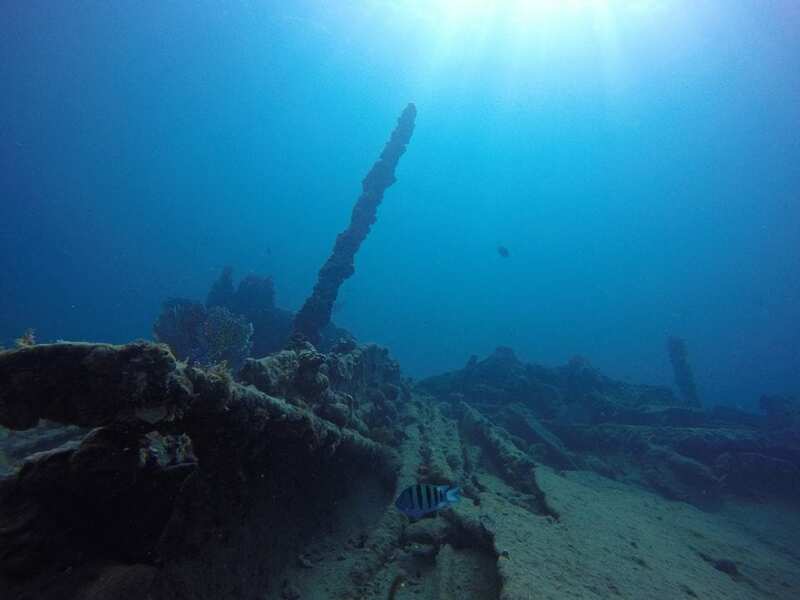 Lawrance is the biggest wreck of the reef at 420′ long and 55′ wide. Unlike the Hydro Atlantic, she was prepped well for sinking with plenty of openings and great opportunities for penetration. These are dives that will motivate you to get tech certified. Sanctuary Reef (45′-75′ depth): Sometimes, it’s hard to tell one reef segment from the next, but I’ll put Sanctuary Reef on the list to represent the group. The current kisses these outer reef dives. What that means is you get to drift dive, breath lightly, and have amazing bottom time. The boat captain drops you at the top, and all you need to do is kick to one edge or the other. From there, just float and breath until it’s time to surface. Along the way, you’ll see lobster, eels, corals, and a whole lot more life, especially on the western ledge. 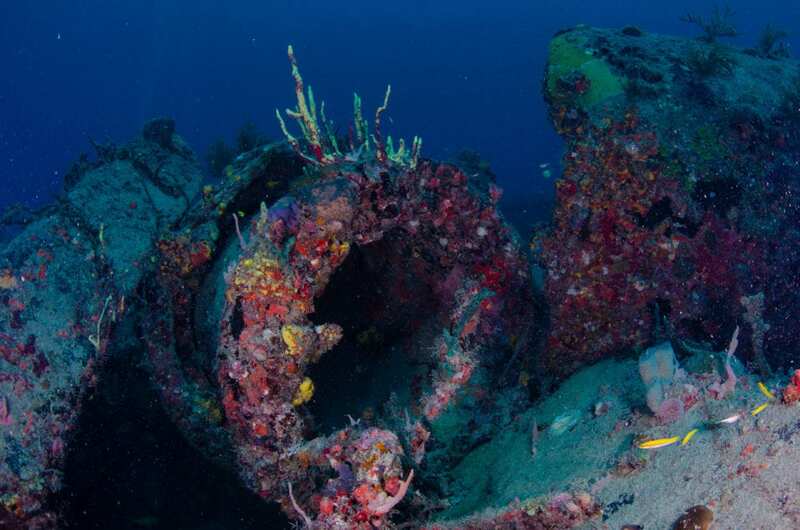 Okinawa (70′ depth)/ Lady Luck(130′ depth): These two dives aren’t usually done together. They aren’t’ that close, and they require different certification levels (Okinawa is OW, Lady Luck is AOW). What they do have in common is installation art placed on board before sinking. Okinawa has a beautiful mermaid statue (the crystal ball was lost to storms), and Lady Luck has sharks playing poker. 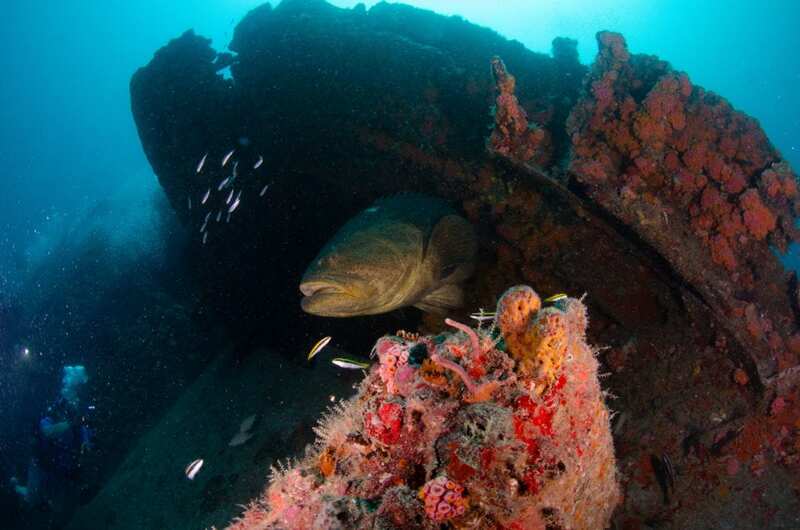 Fort Lauderdale Wreck Trek (65′ depth): Not one, not two, but three 100′ ships make up the Fort Lauderdale Wreck Treck. Meci Jesus, Tracy, and Jay Scutti are close enough that, with good current, navigation, and air, they can all be visited on the same tank. Kind of like a submerge-a-tois for open water divers. Tenneco Towers (deck at 110′ depth): Sometimes, bigger is just better, and the Tenneco Towers are huge! Located right at the Dade / Broward county are two massive oil platforms. 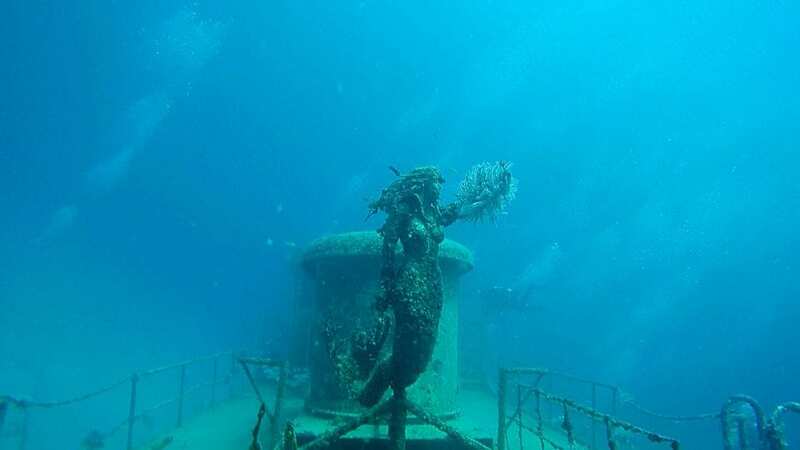 This is the largest artificial reef in south Florida and one of the top dives in the area too. 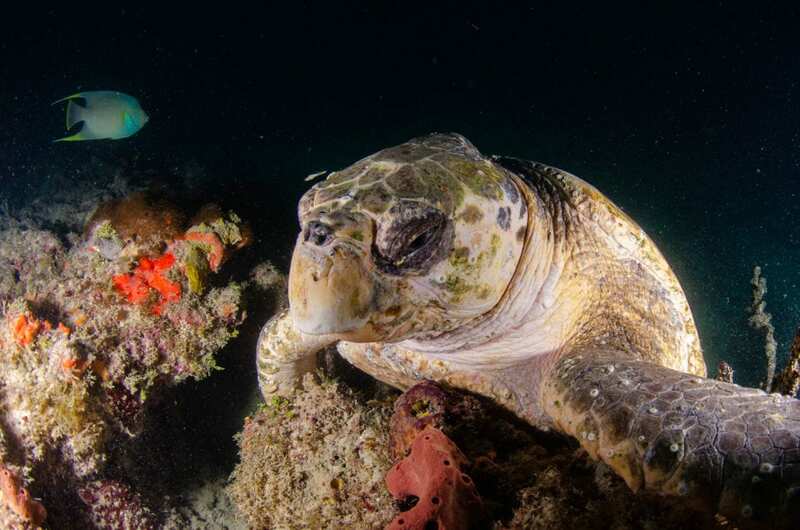 You already know that diving is excellent year-round in Fort Lauderdale. The summer water is warm and balmy, and the winter visibility is spectacular. 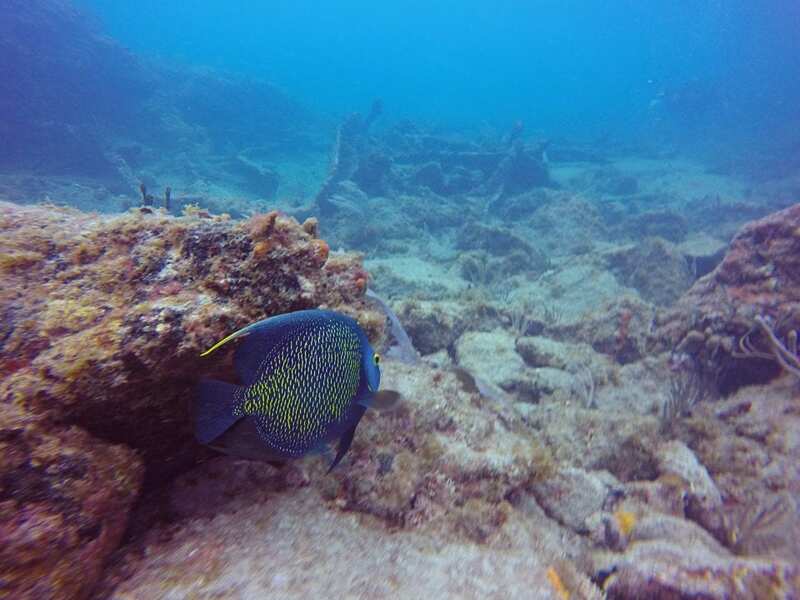 Year-round, you can find tropical fish and corals on the reefs and dolphins splashing in the waves. There are also seasonal pelagic sightings that will knock your booties off. Winter Season (December – February): Bull sharks and sailfish come in from the open ocean. You might even catch a glimpse of an enormous whale shark. Spring Season (March-May): Hammerheads sightings increase, especially on the Outer Reef. A few sailfish might be hanging around too in the early spring. 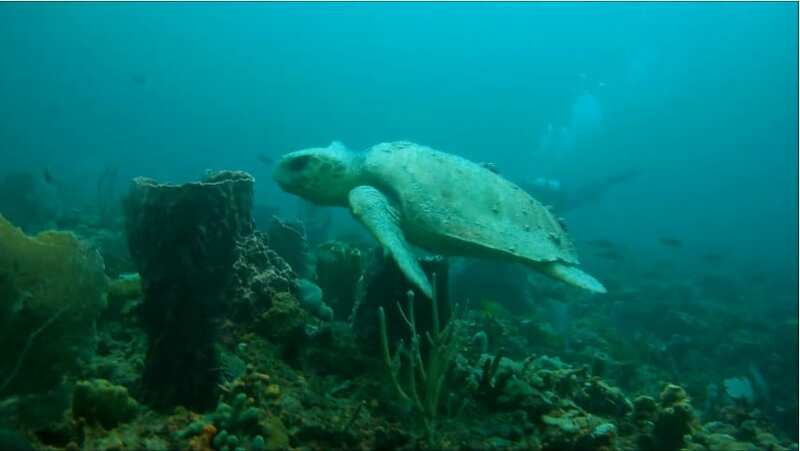 Summer Season (June – August): Manta rays glide into view and hawksbill, and loggerhead turtles are nesting on the beaches. Lemon sharks can be found patrolling sandy bottoms near reefs, and there is a renewed possibility of whale shark sightings. Lobster mini-season runs an intense two days in late July. Late summer also features one of the most amazing underwater spectacle anywhere – the Goliath Grouper Gathering. 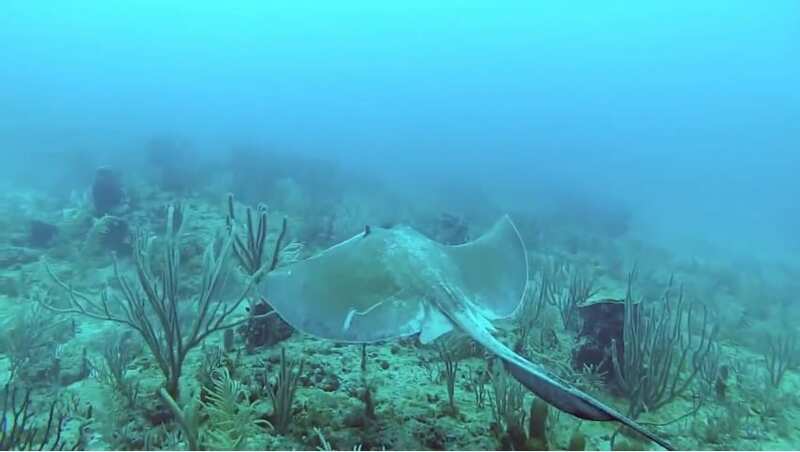 South Florida is one of the few places where these giants have come back from collapse and can regularly be seen spawning and just hanging out on the reefs. Fall Season (September – November): This is the start of the eight-month lobster season and also the peak of hurricane season. One the average, there are only 1.75 storms that make landfall every year so you should be ok, but it doesn’t hurt to check the weather before going. Fort Lauderdale is a world-class tourist destination for romantic getaways, delicious food, elegant nightlife, fabulous shopping, and beachside resorts. You’ll want to stay for weeks on end. 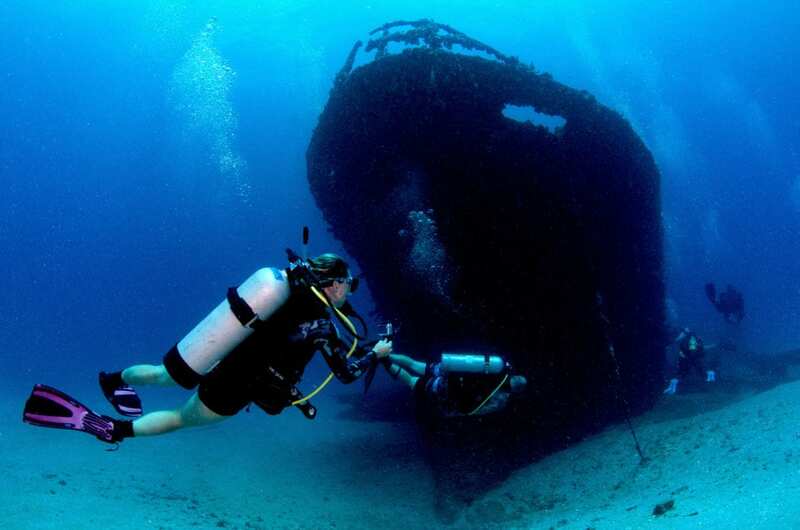 With the long reef-line and wide assortment of wrecks, you will be able to dive a different destination every day. It’s truly the best of both worlds. Disclosure: This post was written in partnership with our sponsor, Pompano Dive Shop. As always, the views and opinions expressed are entirely our own, and we only recommend brands that we 100% stand behind. NextAirboat Tours in the Everglades – Should you go?